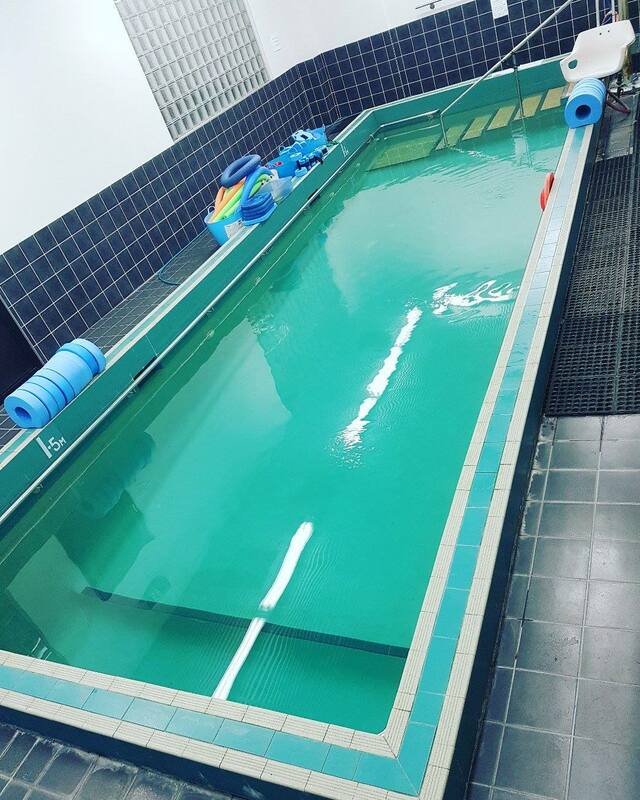 Dr7 Physiotherapy and Podiatry is equipped with its own heated hydrotherapy pool (34°C all year round and indoors) . We offer one-on-one hydrotherapy treatment with our experienced Physiotherapists; small rehabilitation group sessions; exercise/arthritis classes and independent usage. We also provide any water equipment that may be useful for your rehabilitation process. Water exercises and hydrotherapy is great for pregnancy pains, lower back pain, post surgical rehab, such as total knee and hip replacements, arthritis and weight loss. Aimed at the treatment of various conditions such as: back pain, sciatica, whiplash, tendinopathy, sporting injuries, joint replacements, osteoarthritis and many more. One on one sessions with one of our physios at Dr7 Physiotherapy, Podiatry, Hydrotherapy and Massage. 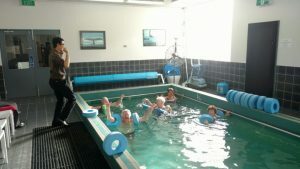 Arthritis class instructed by one of our physios at Dr7 Physiotherapy, Podiatry, Hydrotherapy and Massage. Healthcare rebates apply to all hydrotherapy sessions monitored by one of our physiotherapists. Hydrotherapy can be beneficial for some conditions. Most of these are due to the buoyancy effect of the water, alleviating stress on the muscles and joints which can help some patients undergoing therapy. The use of a hydrotherapy pool can help restore balance and coordination lost due to injury or accident. The water provides a safe environment, free from the risk of re-injury. This helps ease people back into their ability to balance. Hydrotherapy is also useful for restoring things like the strength of weakened muscles and boosting aerobic fitness. The use of water helps ease someone from inability or weakness to competence and full ability. The use of water provides an intermediary step for building the body up. 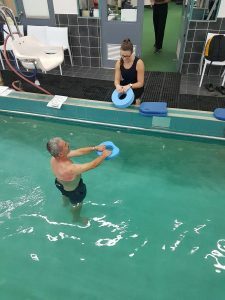 Using hydrotherapy can also ease individuals into getting their full range of motion back after an accident, allowing them to get back to full functionality and independence. A hydrotherapy program can be tailored to suit an individual’s specific needs. Some exercises may be too intense for people with circulation problems, for example. You need only to call us and describe your condition, so we can develop a regimen that suits your needs. Hydrotherapy also excels for treating specific cardiovascular and pulmonary diseases. Heart failure, angina, myocardial infarctions, and chronic obstructive pulmonary disease are conditions that can benefit from including hydrotherapy for rehabilitation. Patients that are recovering from heart or lung surgery can also recover faster in the pool. Hydrotherapy is also useful for anyone who has difficulty exercising on land. Pain-related limitations are less of a concern due to the buoyancy, allowing people with conditions such as osteoarthritis to perform a workout routine. Don’t hesitate to call us and consult with a therapist to see if hydrotherapy can help with your condition.